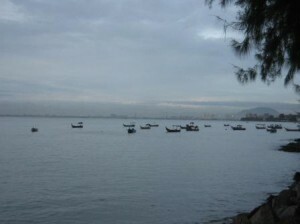 Years ago when I first arrived in Penang, I went with of my hometown mates to Gurney Drive. We took the bus to Gurney Drive and arrived there as the sun went down. After visiting the place and savouring the food, it was time to go back. We decided to walk back to Komtar. I still remember, that evening, the weather was so pleasant- it was windy. And we walked and savoured the sights- at night, there is a strange sense of peace and calm. There were about 5 of us- 3 boys and 2 girls. The walk took about an hour or more. 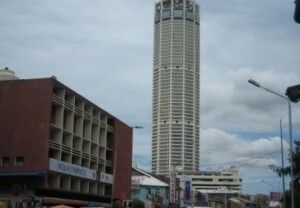 The best part is that if you are walking on foot, it is unlikely that you will get lost if you are heading towards Komtar (if you are in Georgetown area) because the Komtar building is so tall that it remains a landmark till today. All we did is to look at the Komtar building in the distance and walk towards the direction. You can’t go wrong with that. By the time we reach Komtar, we took another minibus back to the place we were staying. Note: I did not take pictures originally during my hike because it happened so many years ago. The above pictures were taken during my subsequent visit back to Penang. Today, it remains unforgetable for me and just something I want to share with you.